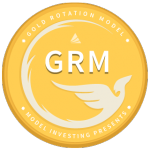 The Gold Rotation Model (GRM) helps you determine when gold is a suitable investment, or when cash is a better alternative. It utilizes a momentum based approach to keep you in gold only when positive price performance is expected. 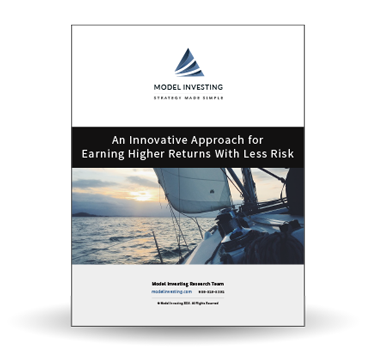 This tutorial will guide you through applying the GRM’s recommendations to your own personal portfolio. The Gold Rotation Model is updated monthly. Updated recommendations are accessible with a premium subscription and are available on the first trading day of each month. They represent proper positioning for the duration of that month. To get the most out of the GRM, you will want to update your holdings immediately upon receiving the latest recommendations. The most straightforward way to leverage the GRM is to follow it exactly, as it rotates between gold and cash. When a position in gold is recommended, the SPDR Gold Shares exchange-traded fund (ETF) GLD is used. If the GRM selects GLD, it means that gold is expected to outperform cash during the month. A position in gold should be maintained or established. Use ticker symbol “GLD” to find this fund through your online brokerage account. If the GRM selects cash, it implies that gold is facing a difficult environment and is likely to lose value during the month. Sell any positions in gold and wait for a better entry spot. 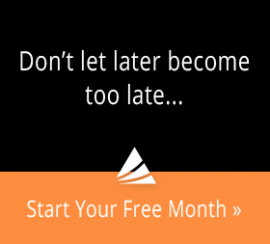 You will need to monitor both the GRM and your positions monthly. It is not imperative that you use GLD as your method for investing in gold. GLD is recommended because it is the largest and most liquid gold exchange-traded fund in the world. However, if you are more comfortable using a different gold fund or investing in physical bullion, feel free to do so. Please understand that if you do not use GLD as your vehicle for owning gold, your results may differ slightly from the GRM’s returns. The historical backtested performance of the GRM is based on following the model exactly, owning gold during periods of strong performance and exiting to the safety of cash when gold performance is weak. While the results speak for themselves, we understand you may not want to completely eliminate gold from your portfolio, even when its performance is weak. If that is the case, consider keeping a “base amount” of gold at all times, and using the GRM to earn excess returns by adding to your position when gold is performing well and decreasing your exposure when it is expected to lose value. 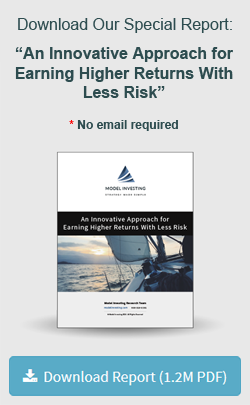 A final reminder, not following the GRM’s exact strategy and recommendations will result in returns that differ from the model’s historical and future performance. This wraps up the GRM Tutorial.